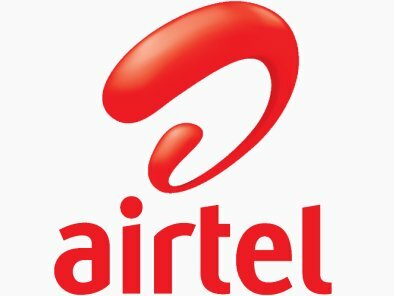 New Delhi, October 9, 2015: Airtel Digital TV, the DTH arm of the third largest mobile services provider globally Bharti Airtel, today announced the launch of its first 4K-Ultra HD (UHD) channel. Airtel also announced that it will showcase the world TV premiere of Salman Khan starrer blockbuster Bajrangi Bhaijan on the newly launched channel (channel number 400/158) on coming Sunday, October 11. Airtel’s 4K UHD channel provides the best of picture quality which is 4 times superior to regular HD channels and will customers to engage in a theatre like experience in the comfort of their home. Bajrangi Bhaijan is the first movie to premiere on Airtel’s 4K UHD channel. Available exclusively to users of the Samsung Smart Direct TV, the movie from Star Gold 4K will premiere at 12:30 pm on Sunday. The Samsung Smart Direct TV is an integrated digital TV pioneered and launched by Airtel Digital TV in partnership with leading TV manufacturer Samsung. It is among the many innovations by Airtel and is a technology platform that has miniaturized the set-top-box into a small smart card that fits inside the television set at the back panel. The elegant solution offers a smart TV viewing experience with minimal signal loss and maximum audio & video clarity while also ensuring maximum power savings. An industry first, it uses minimal wiring and a single remote solution powered by an intuitive user guide enabling built-in Smart Card that allows customers to enjoy TV viewing without an external set top box. The newly launched Samsung J-Series Smart Direct TV comes with additional features such as in-built Wi-Fi, Skype calling, Smart Apps etc. Airtel’s 4K UHD channel is available completely free of cost to users of the Samsung Smart Direct TV for a limited period. Airtel will also showcase programs like Overhalin (from Discovery) and blockbuster movies like Singh is King, Kick, Jai Ho etc. on the channel over the coming days.